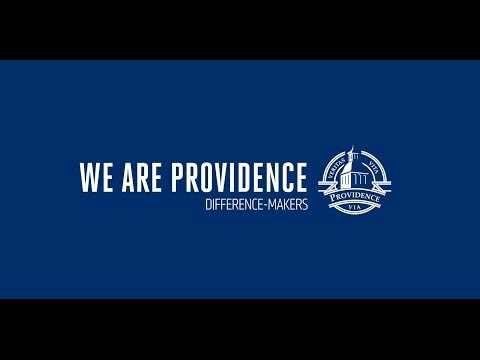 We are Providence. Our mission is to help students become difference-makers in churches, neighbourhoods, and the professional world. We recognize that faith is a journey and will facilitate its exploration through community life, diversity of thought, and an education of the highest academic standards. Our vision is to be identified among Canada's foremost Christian universities as a learning community that transforms our students into leaders of character, knowledge, and faith to serve Christ in a changing world. We are Providence, and God has called us here. We are a three-in-one institution. The University College, Mile Two Discipleship School, and Seminary are unique parts of Providence, each with small class sizes and experienced faculty committed to integrating faith and learning while helping develop our students' skills and character. Providence University College encourages exploration of knowledge and faith and prepares students to be difference-makers in the church, the professional world, and society at large. Our university-accredited Undergraduate and Graduate programs elevate our students into a career in their chosen field or serve as prerequisites for post-baccalaureate study. Mile Two Discipleship School is an immersive, eight-month program that emphasizes biblical study, practical application and service, intentional community and radical obedience to Jesus Christ. A winter trip to Israel is both a highlight of the course and the opportunity to translate the study of scripture into a vibrant, out-of-classroom experience. Providence Theological Seminary exists to serve the church, and we do so by cultivating leaders, creating resources, and enabling theological reflection. We offer degree programs through classroom instruction, modules, and online formats, and whether our students are pursuing academic, church, counselling, or global ministries we ensure that they are professionally and spiritually prepared for their career.